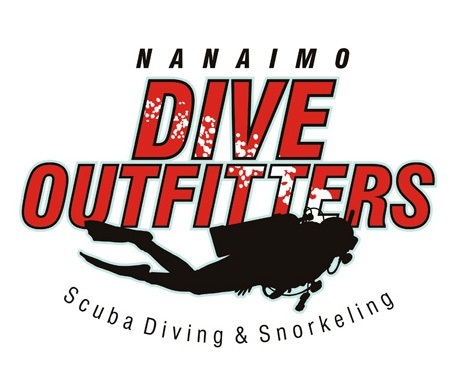 Nanaimo Dive Outfitters offers a full range of equipment servicing to help keep you safe in the water. Our quality breathing air for diving is tested on a regular basis. Air fills are available by the single tank, a 10 fill card, 20 fill card, or annual card. Nitrox is available, up to 40%. Each fill requires a nitrox c-card as proof of nitrox certification. You can purchase a 10-fill card , 20 fill card, or 80 fill card. We mix our Nitrox using the continuous blending method. Oxygen fills over 40% are also available; our booster pump allows us to ensure a good oxygen fill for every tank. Helium is now available with advanced notice. We will inspect, clean and adjust your regulators (First and Second Stage), octopus and gauges according to manufacturer's guidelines. 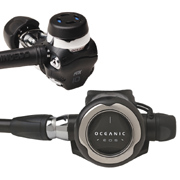 Most manufacturers recommend that you service your regulators once per year or every 50 dives - some have gone to a 2 year parts replacement if you annualy l have your regulator checked. Your regulator is one of the most import pieces of equipment that you own and regular inspections and servicing help keep it working properly. We will inspect, clean and adjust your BCD according to manufacturer's guidelines. Salt water can damage the fabric and parts in your BCD if it is not properly maintained. We will insure valves and buttons are working properly and that the BCD is holding air as it should. We do Visual Plus inspections on scuba cylinders using our Visual Eddy Machine. This machine will allow us to find invisible cracks in your cylinders neck threads that are not visible by the naked eye. Visual inspections are required every year. If you are unsure when your tank was last visually inspected, bring it in and one of our staff will assist you. Tank hydro inspections are required by law every five years. If your tank is due, bring it in and we'll test it for you. We also do tank valve cleaning and rebuilding. This service should be done when your tank is due for a hydro inspection or if it becomes contaminated. Another service we provide is tank cleaning and tumbling. This service is only required if your tank requires it or if you request it. O2 cleaning is also available for any tank being filled above 40% O2 or using partial pressure blending method.